Our Peruvian Black Bullet has great credentials. 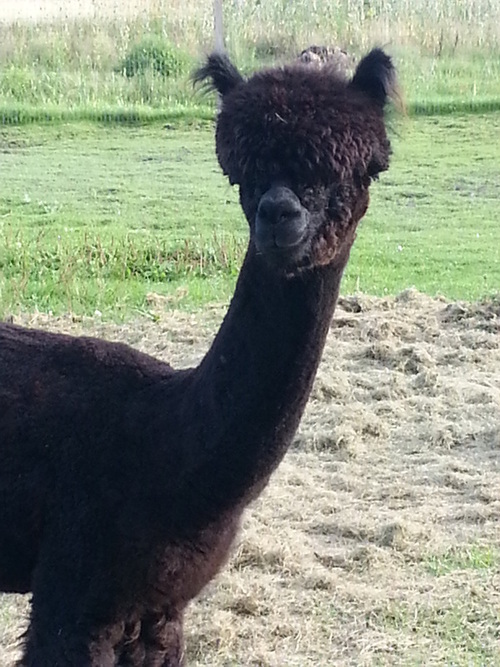 Bullet is an award winning superior bay black son to MFI LETHAL WEAPON and grandson of full accoyo PERUVIAN TITAN. His winnings include several Championships and blue ribbons competing in the very competitive black class. Bullet is phenotypically flawless with outstanding crimp, density, fineness and staple length. 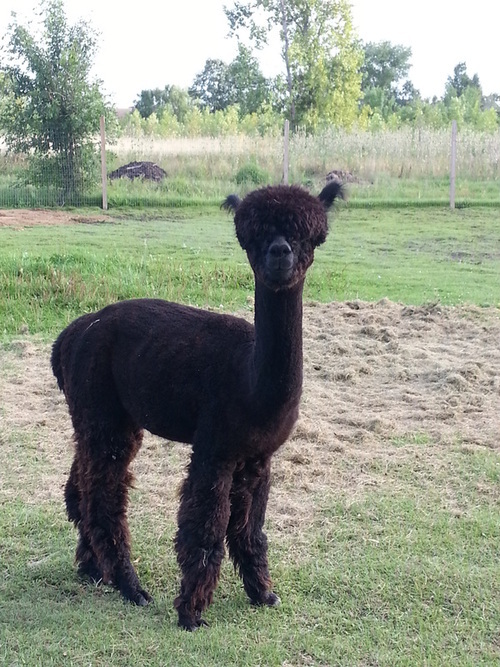 Bullet’s dam is Bree (bay black)and his sire is MFI Peruvian Lethal Weapon (bay black). What better name to fit this beauty than “Elekktra”. What outstanding presence this girl has. Team that confidence up with incredible genes, and you have a girl that electrifies the pastures! Elekktra brings forward wonderful Accoyo genes from her grandsire, Ppperuvian Yupanqui and her dam’s sire, Coyo Destini. We can’t say enough great things about her – excellent conformation, straight as an arrow. Fleece with consistent crimp, great handle. Covered in beautiful bundles of black crimp, the fine handle on this guy is just dreamy. And the staple length – he was almost a year old when we sheared his cria fleece, which measured more than 5” long!! We love his full coverage and perfect proportions. 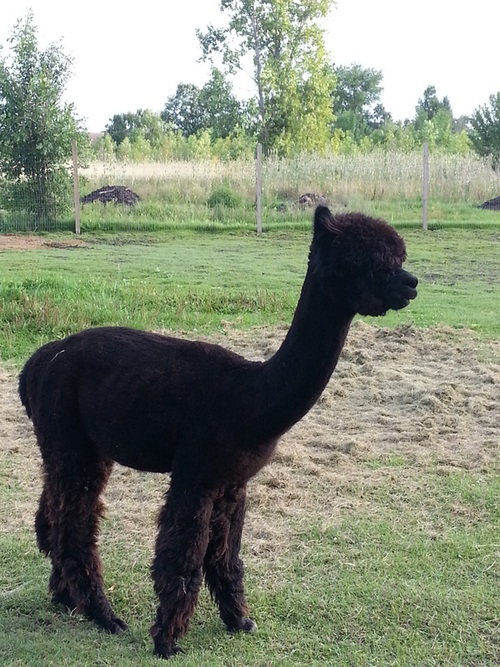 A descendent of the multi-champion Our Peruvian Black Bullet and our own champion-producing Elekktra, Cal is sure to please in the show ring, as well as the pasture. His very regal bearing only adds to his exhibits his straight topline and straight legs. 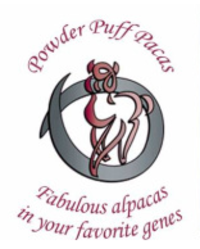 Dutchman’s .50 Caliber is owned by Dutchman Alpacas and boarded at Powder Puff Pacas.